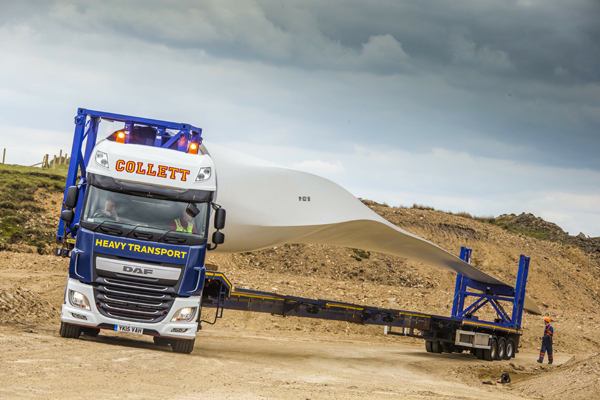 The European Association for Abnormal Road Transport and Mobile Cranes (ESTA) is launching a new conference early next year to address growing concerns about safety during the transportation and erection of on-shore wind turbines. Called ‘New challenges in on-shore wind farm construction – safety, productivity and the supply chain’, the event will be a one-day conference and reception, with leading industry speakers from across the sector. It will take place at the Bucerius Law School in Hamburg, Germany, on February 23. Supporting ESTA in the organisation of the event is the Cranes and Lifting Equipment Product Group of FEM, the European Materials Handling Federation. As a result, European heavy transport and crane rental companies are calling on the developers and turbine manufacturers to join them in discussions about how incidents can be avoided. The organisers also hope that summit will lead to the development of a new ‘best practice guide’ that will raise standards, boost productivity and reduce the number of accidents. ESTA director Søren Jansen said: “Just a few years ago, using large cranes to the maximum of their capabilities was not seen every day. Now it is commonplace, and we have all read about or seen accidents, involving very large cranes, especially when used to erect wind turbines. “Our industry is facing a lot of challenges in this sector when erecting the wind turbines due to the increase of hub heights and the size and weight of the turbines. ESTA highlighted that crane manufacturers say they can respond to the challenges presented by such big turbines. However the association said that costs will rise as a result, an unwelcome prospect for energy companies and developers under pressure to keep prices as low as possible. “Transport companies are also facing problems with ground conditions, quality of access roads and the manufacturers’ requirements which vary from firm to firm,” ESTA said. ESTA president David Collett is calling for the turbine manufacturers to agree common standards to improve both safety and productivity. He said: “ESTA will be lobbying for common standards among the turbine manufacturers regarding ground conditions, access roads and their transportation requirements. ESTA has association members in 19 countries. It also has 35 affiliated members covering major transport and crane manufacturers.